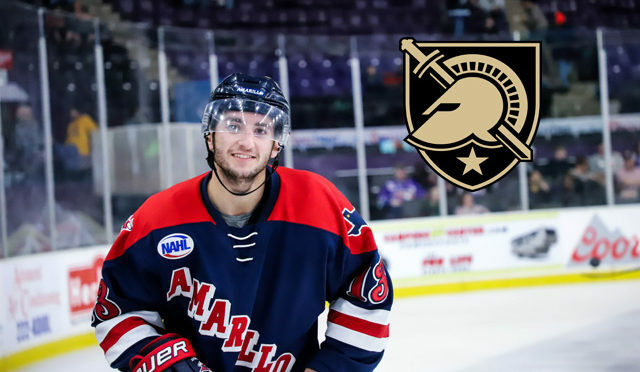 The Amarillo Bulls, proud members of the North American Hockey League, announced today (Wednesday) that Brett Abdelnour has committed to Army West Point, Atlantic Hockey for the 2019-2020 season. Abdelnour said the visit to West Point blew him away, and he first thought he was in Europe. The Macomb, Michigan native is the eight member of this year’s Bulls roster to make his NCAA College plans. He will join Justin Evenson at West Point. In the first two years of the Bulls franchise, a total of five players committed including Joe Kozlak, Luke Jenkins, Garrett Peterson, Clint Carlisle and Kyle Plageman. In 96 career games with the Bulls, Abdelnour has 20 goals and 38 assists for 58 points He has eight career power play goals and four game winners. Last month, Abdelnour was named one of the team’s Assistant Captains. Russo along with Assistant Coach George Lewis and forward Alex Peterson have been with Abdelnour on his journey through Junior Hockey. Abdelnour said it’s great to able to share this moment and celebrate it with them. Abdelnour said if he didn’t play for the Amarillo Bulls, he wouldn’t have the commitment he has now. “Being able to skate and work out every day along with having George get video ready and Rocky teaching us the little things and disicpline, made me grow as a complete player and as a person,” he said. Abdelnour said there have been a lot of people that have helped him along way get to this decision. Brett Abdelnour joins Jason Grande (Bentley), Justin Evenson (Army-West Point), Nick Anderson (Colgate), Alex Peterson (Holy Cross), Brenden Datema (Michigan Tech), and Jason Brancheau (Ferris State) as Bulls player on the 2019-20 roster to make their NCAA College Commitments. 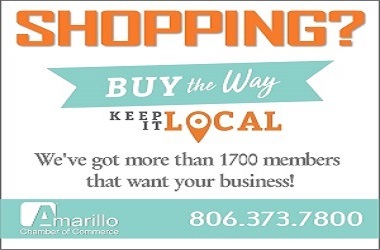 Hockey is back at the Budweiser Bull Pen in the Amarillo Civic Center this Friday, and Saturday, when the Amarillo Bulls host the Lone Star Brahmas at 7 pm.